Window tinting is one of those additions to your vehicle that most people think are completely superficial. However, you might be surprised that tinting your windows not only helps to protect your interior but also the safety of your passengers as well. Don’t let the cool look of tinted windows fool you, yes it looks good, but it also protects your investment. 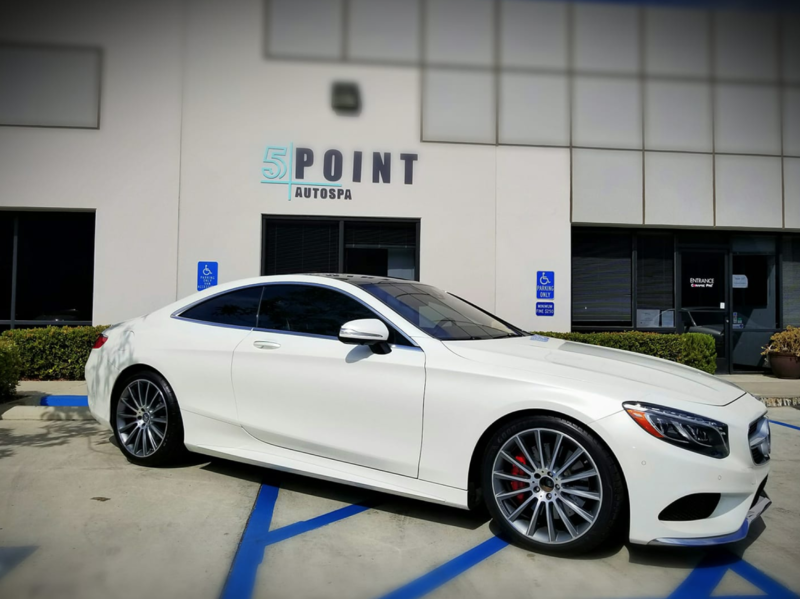 There are many, but here are the top 5 reasons you should call today to get your car in the shop and tint your windows. 1) Aesthetic & Resale Value- Tinting your windows not only elevates the aesthetic value of your vehicle, it also can increase the resale value! 2) Protection from UV rays and glare– As we all know being here in Southern California, sun is a constant factor in almost everything that we do. The UV rays from the amazing sun that’s always shining here comes through your windows and can affect your health even though it’s not direct contact. UV rays can cause cancer and not to mention the glare can become too much and honestly, sunglasses aren’t enough. 3) Saves your interior – Because there are less environmental factors entering your car, this saves your interior which saves money on maintenance. Leather, plastic and cloth can become faded and damaged from the amount of sun we get here in San Diego. Tinting your windows is an amazing way to protect your interior from getting damaged in the first place. 4) Protect your valuables – This is especially important if you park on the street or when you leave your vehicle in a parking lot. People passing by your vehicle, especially if it’s a nice vehicle, will sometimes want to stop and take a look inside. They can’t do this if they can’t see inside. This protects any valuables that you might keep in your car. 5) Keep your car cool – Ever get in your car in the summer and it’s like opening an oven door? Don’t worry about that anymore when you decide to tint your windows. By blocking the UV rays you’re also blocking the heat from getting into your car, which can be everything when temperatures really start to get up there. We are proud to offer two different products: Pentagon Infrared and Suntek CXP Ceramic. Both allow the benefits of window tinting and have a lifetime guarantee to not crack, fade, peel or delaminate. Call today to protect your investment, and your loved ones.